ADB and Fastboot are two of the most indispensable tools for manipulating and modifying your Android device. Offering the ability to perform all kinds of actions ranging from simple operations such as pushing and pulling certain files to unlocking bootloaders and flashing custom recovery images, these two tools are something that nearly everyone who has tinkered with an Android device in some way has been exposed to. Despite the simple nature of both these utilities, actually getting hold of the latest versions and setting them up can often be troublesome for the less experienced user. The sure fire way to get the most recent versions is to download the Android SDK. That, however, means downloading a lot of stuff for two relatively tiny tools and let’s be honest, ain’t nobody got time for that. If it is just the single tools you’re after, there’s a very simple way of getting hold of them. 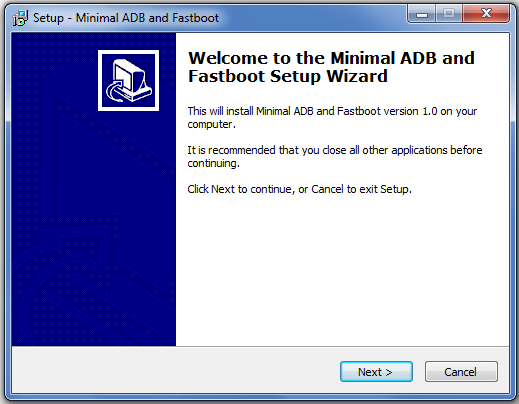 XDA Forum Member shimp208 created Minimal ADB & Fastboot which is a Windows-based installer that simply grabs the latest versions of ADB and Fastboot before installing them to a location of your choice, eliminating the need for an enormous downloads or trawling the internet for a specific version. Once you’re connected via USB and your device is recognized, you should be ready to start using ADB and Fastboot. It’s as simple as that. Check out the original thread for more information.